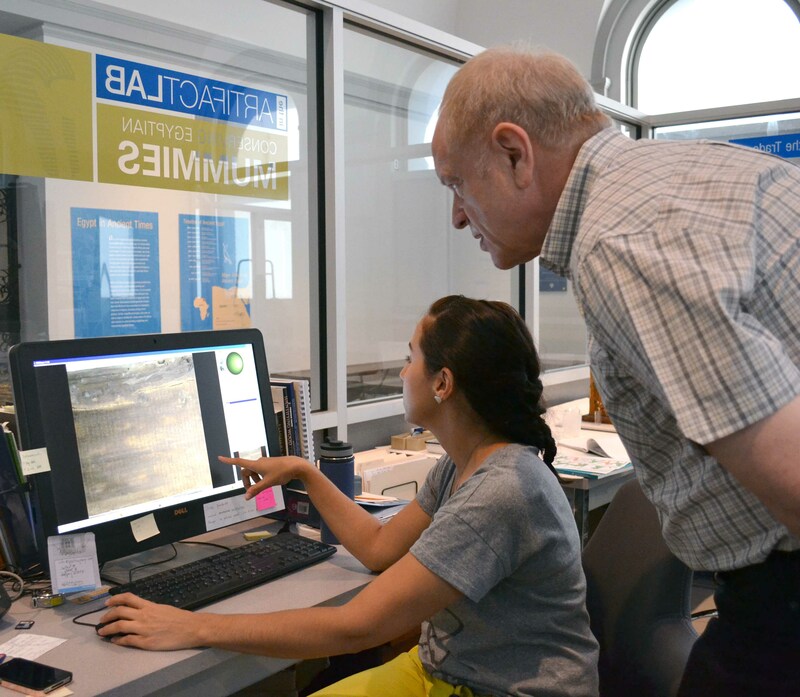 If you have visited the Artifact Lab in the last couple weeks, you may have noticed that we have a few more objects out than usual, and often, an additional conservator working in here. 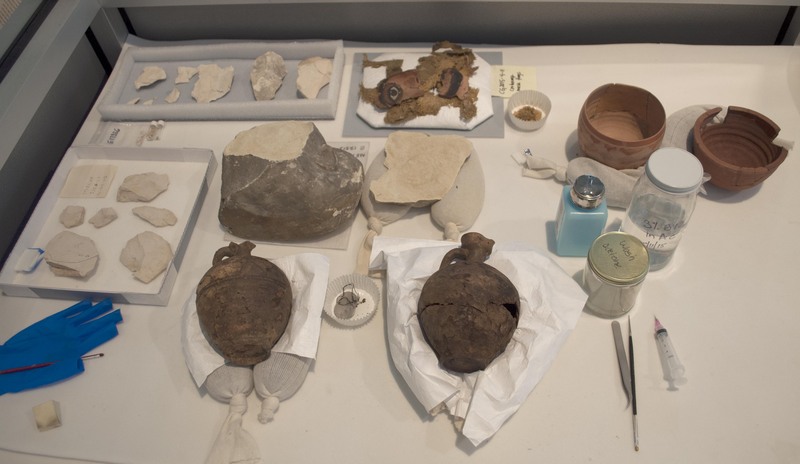 A few objects (stone, cartonnage, ceramics) that were brought to the Artifact Lab recently for conservation treatment before they are moved off-site. 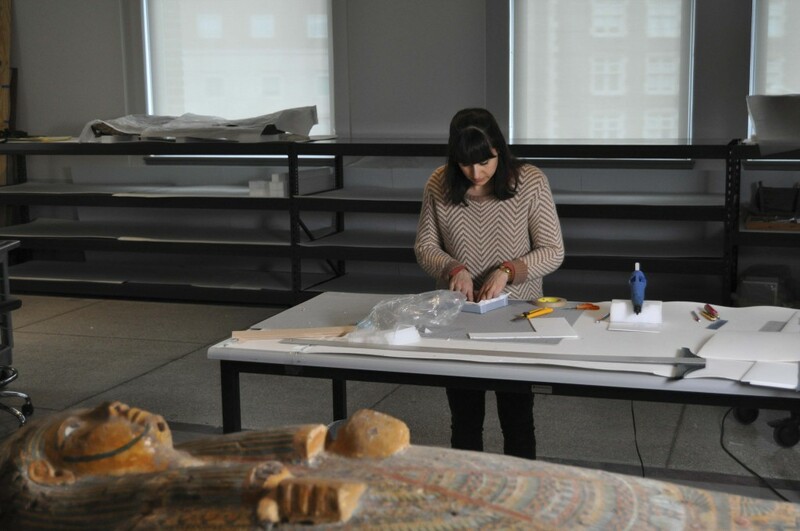 The new objects were recently brought up from Egyptian storage by conservator Alexis North, who was previously here as a graduate intern, and now is working as the new Project Conservator for the inventory and move of our Egyptian collections to an off-site facility. 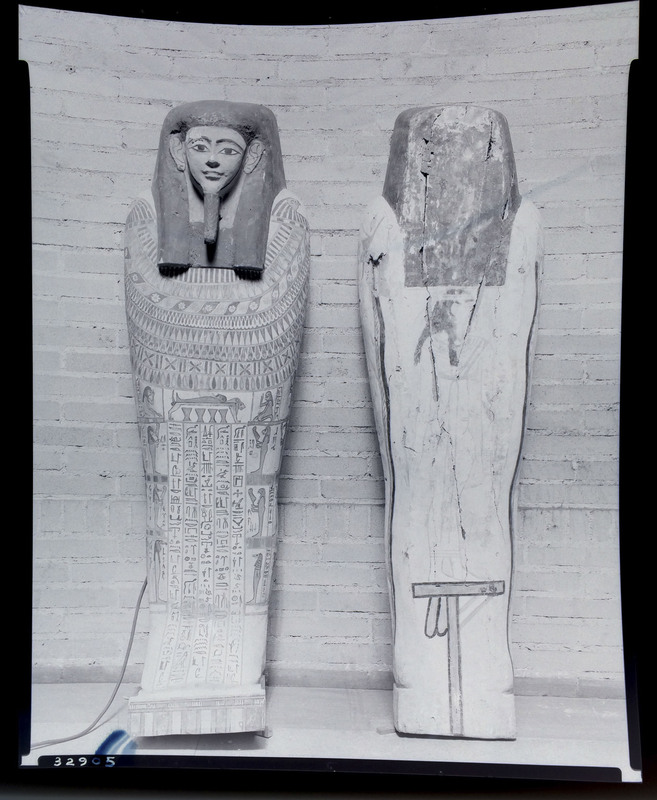 Due to construction that will be happening at the Hospital of the University of Pennsylvania (HUP), which is adjacent to the museum, certain storerooms and galleries will be affected and as a result, the entire Egyptian collection in storage (with some exceptions) must be moved off-site for the duration of the project. 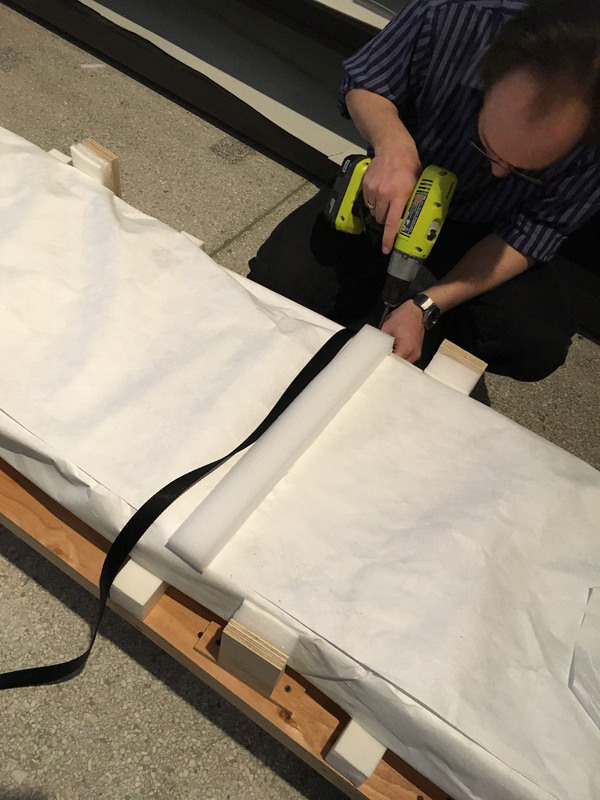 This move requires a new inventory of the collection and also that everything be examined and stabilized, through conservation treatment and/or packing solutions, which will benefit the collection greatly. 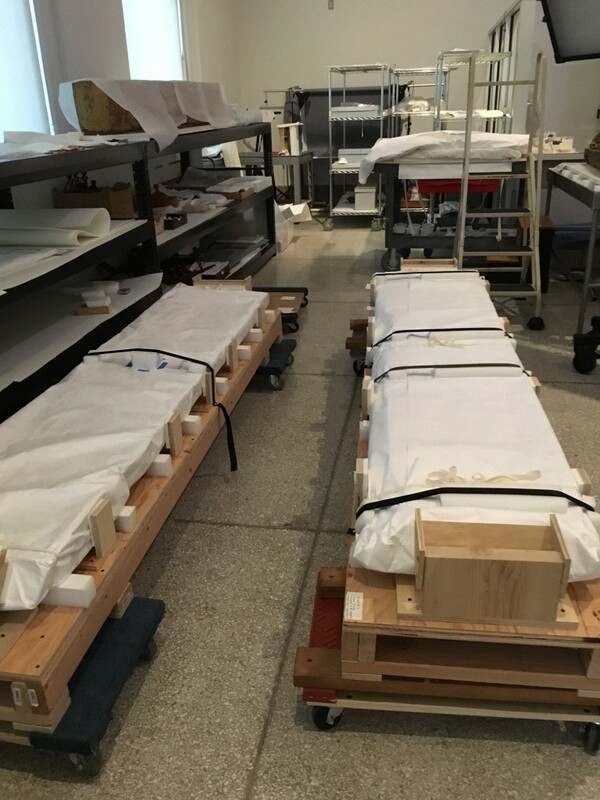 In addition, emptying the Egyptian storerooms will allow us to carry out a much-needed renovation of these areas, so that when the collections return, they will be housed in a much better protective environment. 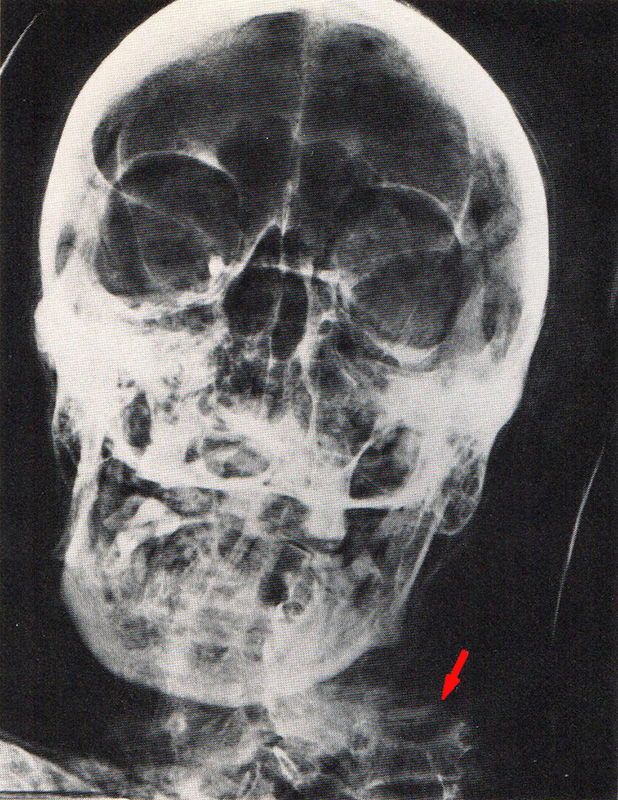 We will try to feature some of the more interesting objects that come up to the lab as a part of this project on the blog, but if you do have a chance to stop by the Artifact lab this summer, you’ll be in for a treat, I assure you, because we will be working on some pretty amazing things. 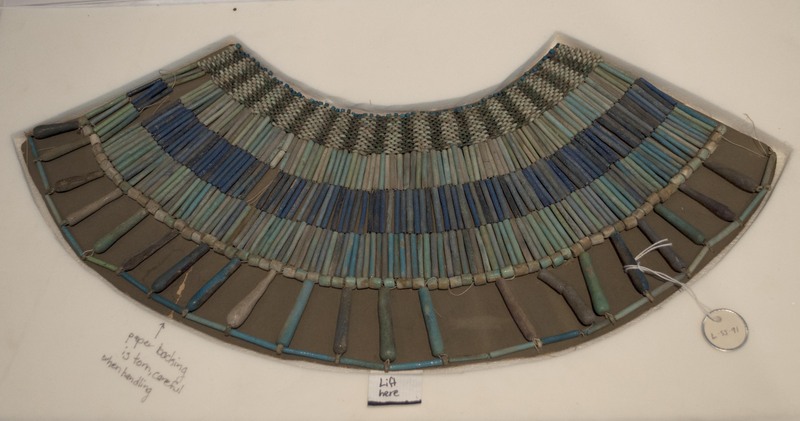 This faience beaded collar is just one of the beautiful beaded objects that came into the lab recently as part of the move project.